The ‘Chelsea Of The West’ The Taunton Flower Show took place in Vivary Park on 5th and 6th August. Once again Apple FM were there and broadcasted live from the site for 16 hours over the two days. 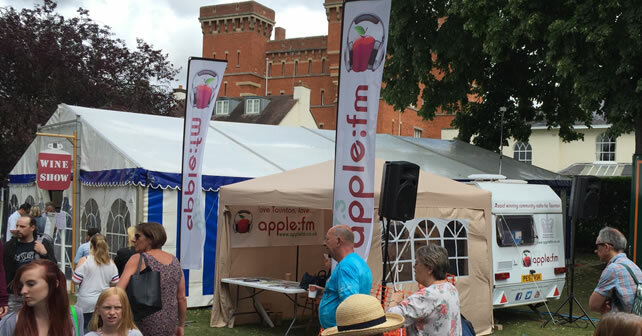 Our Community Matters Team spoke to many people at the event over the two days and you can hear the interviews by clicking play on the video below..
Apple FM also hosted Gardeners’ Question time on both days in the Demonstration Marquee. You can hear Day Two of Gardeners’ Question Time by clicking play below.